Nancy gets the big picture from a really tiny clue! Nancy and her friends love Mr. Lizard's Funhouse -- it's their favorite TV show. But now Mr. Lizard is going to be replaced -- by a cooking show! Nancy gets the kids in school to sign a petition to save the Show, but when she brings it to the TV station, it says in big purple letters, "Get rid of Mr. Lizard!" From the lunch lady to a science whiz kid, anyone in school Could have written the nasty note. 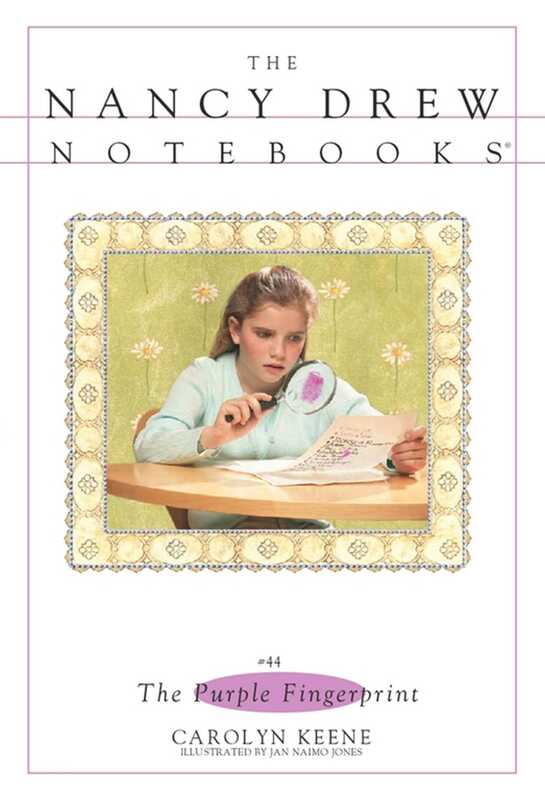 Then Nancy's father gives her a special gift -- a magnifying glass. It's just the thing for an upclose look at her best clue -- a distinctive purple fingerprint!